Although work-family balance (WFB) has received much attention from researchers, there are relatively few studies exploring WFB in parents of children with disabilities. Such research is necessary because caregiving demands are greater among these parents than those caring for typically developing children. 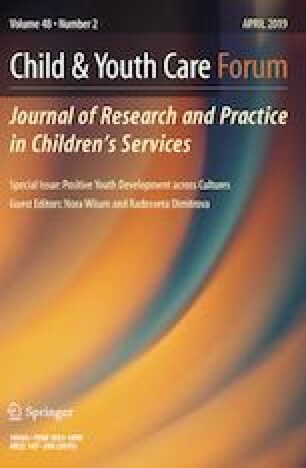 The objective was to examine the impact of person and context elements of Bronfenbrenner’s bioecological model (BM) on WFB among employed parents of children with disabilities. Hypotheses stated that personal resources, personal demands, and microsystem, exosystem, and macrosystem variables would impact work interference with family (WIF) and family interference with work (FIW). Parents (N = 145) from several English-speaking countries responded to an internet survey. They were recruited through advocacy groups for children with disabilities. They were employed at least part-time with a child under 18 years of age and diagnosed with a disability living with them. Regression analyses indicated that some personal resources (e.g. work-family enrichment) and some personal demands (e.g. rated severity of child disability) predicted both WIF and FIW in the expected direction. Microsystem (i.e. supervisory support) and exosystem (i.e. organizational culture) variables predicted lower levels of WIF and FIW. However, macrosystem variables (i.e. national family supportive policies) did not. The BM is useful for understanding WFB among employed parents of children with disabilities. Future research should include incorporating more aspects of the BM when exploring parents’ experiences. For example, examination of the chronosystem may be particularly important as the demands of parenting children with disabilities shift as children age. Theresa J. Brown declares that she has no conflict of interest. Kenneth E. Sumner declares that he has no conflict of interest. den Dulk, L., & Peper, B. (2016). The impact of national policy on work-family experiences. In T. D. Allen, & L. T. Eby (Eds. ), The oxford handbook of work and family; the oxford handbook of work and family (pp. 300–314, Chapter xvii, 502 p.) Oxford University Press, New York, NY. Retrieved from https://library.georgian.edu/login?url=https://search-proquestcom.library.georgian.edu/docview/1883359566?accountid=27354.